The two suspects charged with the alleged assault of business personality David Main recently were deported by the United States five years ago. Chief Executive Officer of the Ministry of Prime Minister and Cabinet, (M.P.M.C. ), Agafili Shem Leo confirmed this when responding to questions from the Samoa Observer. He expressed disappointment with the assault but expressed confidence that justice will be served now that the matter is in the hands of the appropriate authorities. Mr. Main was brutally beaten by two men opposite McDonalds the previous weekend and told Samoa Observer in an interview at his residence that he is lucky to be alive. Agafili said he is not privy to any further information relating to the circumstances, which could have provoked the assault as the matter is now the subject of an ongoing criminal investigation. He said he is also unable to verify reports that the two men are registered members of the Samoa Returnees Charitable Trust (S.R.C.T. ), a not for profit that rehabilitates returnees integrate back into the community. “While I agree with your statement that in cases of this nature it is beyond government's control, it would be amiss if the unfortunate incident which has victimised an innocent member of the public will overshadow the government's initiative and leading role to establishment the S.R.C.T. in 2011." “To date, a government policy is in place which mandates all returnees to furnish a medical certificate and police report prior to their removal to Samoa. But the most crucial component is that they must have relatives and family in Samoa to live with on their return. It is part of their rehabilitation engagement initiated by government as many of the returnees had left Samoa at a young age." “Reuniting with relatives will rekindled their family bonds and resurrect a sense of responsibility as well as a sense of belonging for the returnees to become assets to their respective families, villages, churches and our country and not as liabilities,” he said. 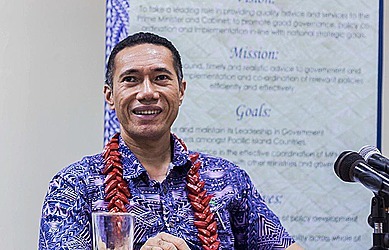 Agafili said there has been cases of successful re-engagement and reintegration through the matais, faifeaus and the village communities, such as the case of returnees Papalii Siva Afi and Lemalu Toilolo, whom the C.E.O. said expressed remorse and transformed themselves to become role models by preaching about the ills of a life of crime in public forums. The C.E.O. noted the Government has also provided office facilities for the S.R.C.T. Headquarters at Nafanua which returnees have utilised as a “home” for fellowship, training and other purposes. “At the same time, the S.R.C.T. management board composition also includes Chief Executive Officers from a number of Government Ministries. This all reaffirms the government's genuine vision for returnees to be afforded every opportunity for a new beginning and a second chance to contribute to the welfare of the country and our general public. Again, the incident in question is a huge disappointment and I am confident that justice will be served now that the matter is in the hands of the appropriate authorities,” he added.